Lounging by the lake makes for a relaxing afternoon, but sometimes the trails of adventure call. As any Nantahala native knows, the Reflection community rests in the heart of the beautiful Nantahala National Forest, and just a stone’s throw from the Great Smoky Mountains National Park. Whether you’re exploring a new way of camping or tackling the hiking trails for a day of natural marvels, our cabins are surrounded by a world of opportunity. Our exclusive lakeside real estate overlooks some of the best woodland views North Carolina has to offer. But Lake Nantahala isn’t the only oasis that embodies the Cherokee word for “land of the noonday sun.” The national forest we call home shares our name and enables us to revel in our surroundings. 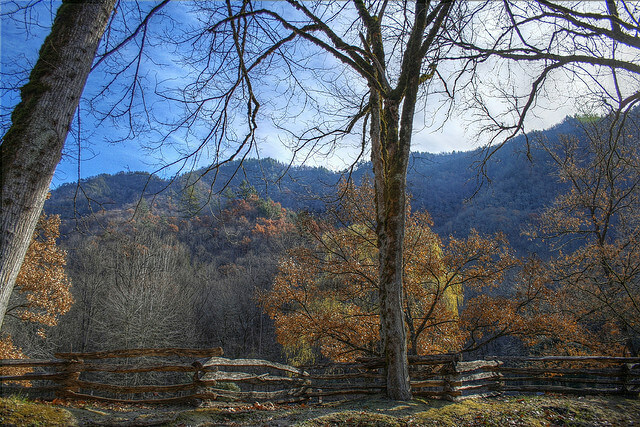 With 3 distinct districts, the Nantahala National Forest has no shortage of hiking, fishing, waterfall exploration, and foliage familiar and remarkable. When you retreat to your cabin home, you’ll have a new appreciation for the majesty of the mountains around you. Sometimes a weekend away is just what you need to appreciate your peaceful mountain home. This national forest spans North Carolina and Tennessee and offers no dearth of family-friendly campgrounds, historic buildings, and wildlife. 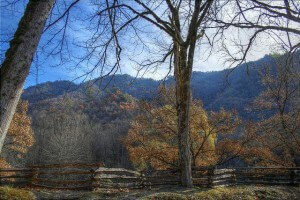 Tour from horseback, bike around the countryside, or enjoy an automobile tour so you don’t overlook any of the lakes, streams, caves, and cliffs of the Great Smoky Mountains. It’s easy to fall in love with the great outdoors, and the U.S. National Park service knows it! That’s why they developed America the Beautiful, a variety of affordable yearly pass options in case one day isn’t enough to satiate your taste for nature. With special discounts for military and seniors, unique opportunities for volunteers, and exploration made easy for thrill-seekers and relaxation experts alike, there’s no reason not to enjoy every mile of mountains, waterfalls, and hiking trails that North Carolina—and America—has to offer.